Motor trike. Until about 3 seconds ago that term seemingly would have referred to something incredibly lame, wouldn't it? Especially when used in tandem with descriptors such as "electric vehicle" and "eco-friendly". Puh. Conserving the environment at 25 mph is for losers. 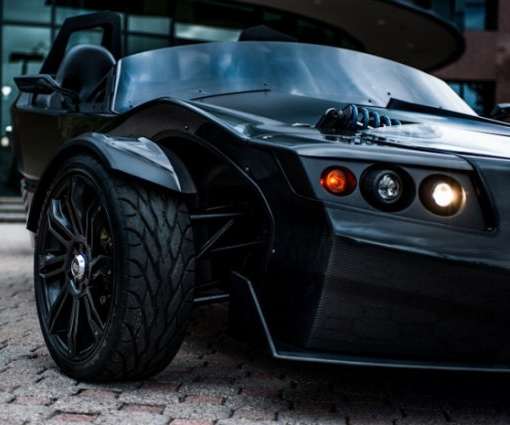 But if this TORQ Roadster three-wheeled Batmobile incarnation is the new definition of "motor trike"...then I would like one motor trike, please. Epic Electric Vehicles, fabricator of fine forms of Thomas Edison-approved transport, will officially debut the TORQ Roadster on April 6, 2013 at its R&D Center somewhere in California I'll never see due to having a slavedriver boss who will not permit me to take vacations from the Internet. However, those of you who can make it to Vista, CA will be able to inhale the Dark Knight's junior-sized whip in all its glory, marveling at the roadster's carbon fiber body panels, Palatov Motorsports high-performance cam suspension and chassis, and polycarbonate widescreen front window. And while the chances Epic Electric Vehicles personnel will grant you a test drive are 0%, I'm sure they'll be streaming a slew of videos like the one above and have a guest speaker or two who has had the privilege of sitting behind the Batmo's wheel. Those people will tell you they pulled more lateral acceleration in the TORQ than they could in a Ferrari F430--1.3 Gs to be exact. That they achieved a forward acceleration of 0 to 60 mph in 4 seconds at a decibel level of 2. Or whatever number of decibels corresponds to something very quiet; I'm not really familiar with that unit of measurement. They'll wax poetic on the Batmobile Jr.'s 80.5" track suspension system that makes all $65,000 of it corner like it's on rails. Then they'll ask if you remember when Julia Roberts said that to Richard Gere about the Lotus he had to have her drive for him in Pretty Woman. And you'll say no, definitely not. And they'll say yeah...me neither. 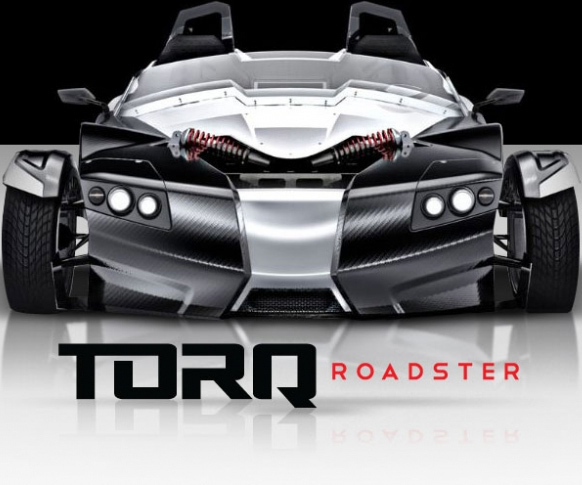 The TORQ Roadster can travel over 100 miles on single electrical charge. Check out its complete specs here.